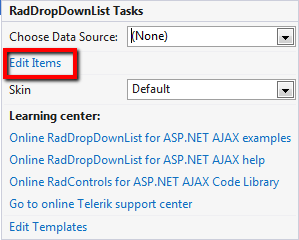 This tutorial will walk you through creating a RadDropDownList and shows how to Create a simple RadDropDownList with elements set in design time. Drag a RadDropDownList from the Toolbox onto your web page. 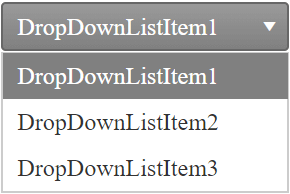 The RadDropDownList Item Builder appears. Click the Add item icon in the upper left corner. A new RadDropDownListItem appears in the item builder. 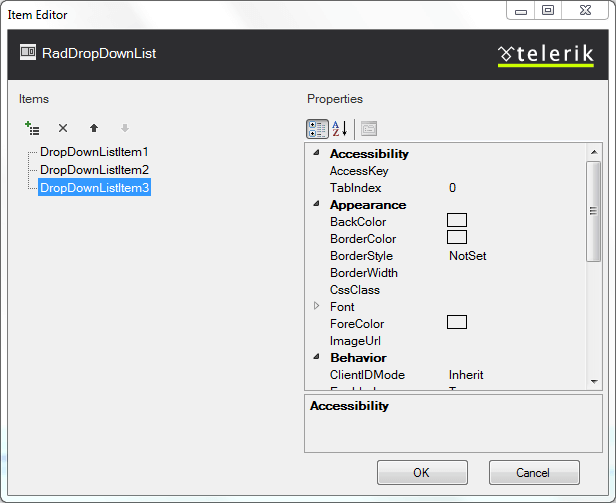 Set the Text property to "DropDownListItem1". 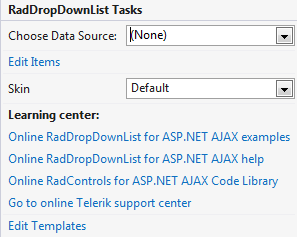 Press OK to exit the RadDropDownList Item Builder.